Welcome to I-TAP's Course/Institutional Catalog. Here you will be able to find classes and course outlines for I-TAP Training Programs. Click on the selection of your choice for an overview of the class to see the high level of comprehensive training your employee will receive. 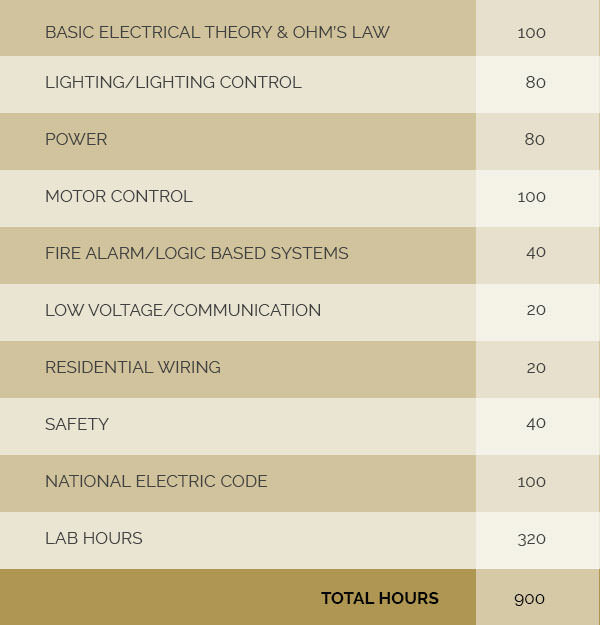 Our Commercial Electrician Curriculum is taught in two formats to meet the needs of every student. Students may attend the 26-week Commercial Electrician Trainee program and complete all of the state required education in one course. The second option is our Avocational Commercial Electrician Trainee course, where they receive their education in the traditional apprenticeship format and learn while already employed in the trade. The objective of the commercial electrician course is to provide students with the education required to be employable as commercial electrician trainees. Upon completion of the curriculum students will have earned an California Electrical Trainee Card, as well as be eligible to take the California General Certification Exam, however they will not be considered “certified” unless they have also completed 8,000 of on the job experience. 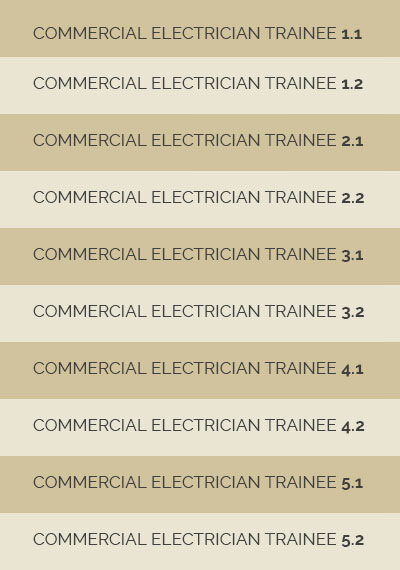 The commercial electrician program is a 26 week, 900 hours and covers all the required topics as outlined by the California Division of Industrial Relations Electrician Certification Unit. Approximately 35% of the time spent in class will be in a lab environment. It is essential to the success of the students that they participate in hands on labs to gain real world experience. The Avocational commercial electrician trainee courses cover all the required topics as outlined by the California Division of Industrial Relations Electrician Certification Unit. Approximately 30% of the time spent in class will be in a lab environment. It is essential to the success of the students that they receive a complete hands on exposure.